The US has reportedly committed to pulling its forces, as well as NATO forces, out of Afghanistan in a serious bid to stop the 17-year war that’s claimed tens of thousands of lives and hundreds of billions of US tax dollars. Citing „significant progress“ in peace talks with the Taliban, the hardline Islamist group that harbored Osama Bin Laden and became the US’s first target after the September 11, 2001 attacks, a US official told Reuters the US was working on a ceasefire and the timing of a pull out. The White House said on Monday its priority was ending the war in Afghanistan. The US has struggled to end the war against scattered pockets of militants across Afghanistan for 17 years, and President Donald Trump campaigned on ending these engagements. Peace talks in Qatar, now lasting over a week, have produced results that Acting Defense Secretary Pat Shanahan called „encouraging,“ though he maintains the US currently has no plans for a complete withdrawal. The US has committed to pulling its forces, as well as NATO forces, out of Afghanistan in a serious bid to stop the 17-year-long war that’s claimed tens of thousands of lives and hundreds of billions of US tax dollars. „Our priority is to end the war in Afghanistan and ensure there is never a base for terrorism in Afghanistan,“ Press Secretary Sarah Huckabee Sanders said at a press briefing on Monday. President Donald Trump reportedly pushed for a troop withdrawal in Afghanistan at the same time he announced a troop pull out from Syria, which sparked widespread controversy, criticism, and the resignation of his defense secretary and top official in charge of fighting ISIS. The US and NATO have fought in Afghanistan since 2001, when they toppled the ruling government that had harbored the Taliban and Al Qaeda. The US and NATO have lost about 3,500 troops in the battle that’s killed tens of thousands of Afghans and nearly 10,000 Afghan security forces fighters a year since 2014. The Pentagon currently spends about $45 billion a year on the Afghanistan war while other parts of the government contribute additional money to secure the country, build infrastructure, and fund essential programs as the government struggles to control all of its territory. Trump campaigned explicitly against the war in Afghanistan, calling it a big mistake that left US soldiers fighting without purpose. The Taliban recently agreed to a landmark concession, saying it would oppose „any attempts by militant groups to use Afghanistan to stage terrorist attacks abroad,“ according to the Wall Street Journal. Afghanistan, sometimes called the „graveyard of empires“ for its historic ability to resist outside rule from Alexander the Great, t0 Britain, to the Soviets, has proven a stalemate for the US, which has failed to lock down the entire country from Islamist control. 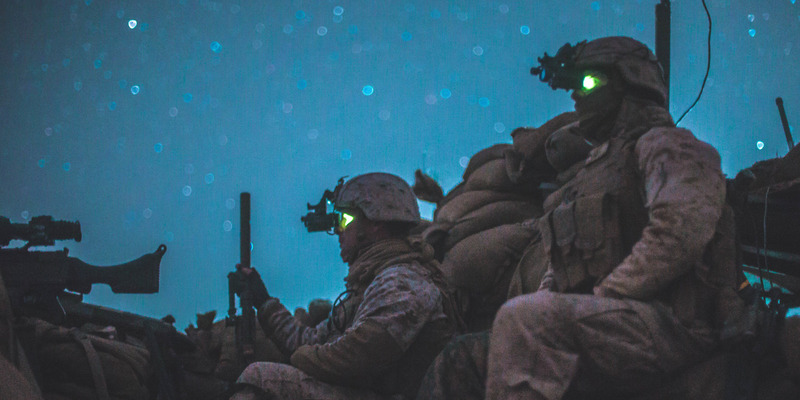 While the conflict has had quiet years, US casualties in the Afghan theater have been increasing, especially in the form of „insider“ attacks, or Islamists posing as Afghan troops to kill NATO troops. The US maintains it is not completely withdrawing from Afghanistan just yet, but rather establishing a timeline and exploring future drawdowns.